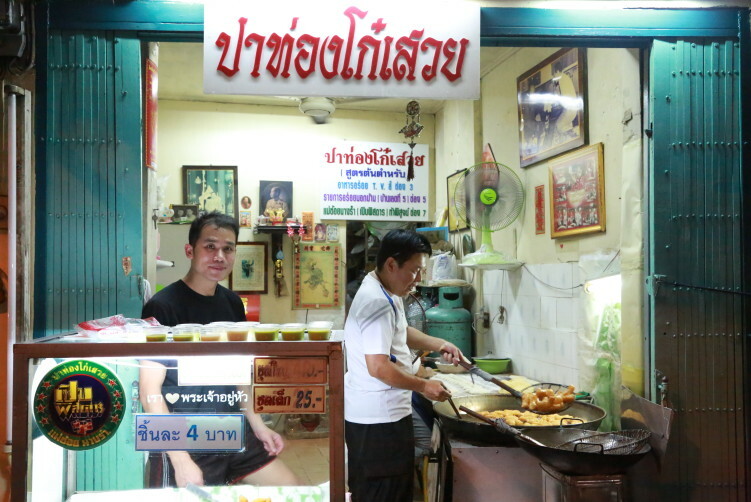 https://globaldevincubator.org/privacy-and-legal/ order now There are a few rule of thumbs out there to help you locate the best street food in Bangkok. And they are valid about everywhere in this hectic and entertaining city. They are rather general and therefore easy to follow. As always, it’s mostly down to pure common sense and logic, but a reminder haven’t hurt anybody I know, so here are a few tips for your next meal. viagra no prescription Where there is people there is food is an old saying. But in Bangkok people are everywhere, so how to apply it. You have to look for food stalls or streets and areas where there are bigger congregations of Thai’s. They love their food and they take their meals seriously. Also, they often go out to eat as it’s difficult to make their own dinner for the price of what you get street side. And it’s not uncommon to not have a kitchen in Bangkok. In addition, many Thai’s don’t have too much time for their lunch treat, so have in mind that they normally eat something close to work. 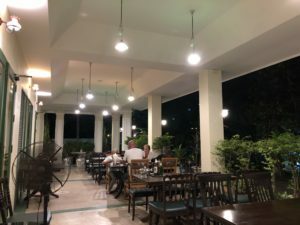 Where you see Thai’s lining up, either for take away or for sitting down, you certainly have spotted a good reason to check out the food served. Be aware that the principle mostly apply during regular eating hours, like lunch time or dinner time. If you try to find a lineup of locals at 4 p.m. you might struggle to find it. Areas around hospitals, schools and universities, train stations, some BTS and metro stations are normally good areas for street food. So, why is it so? Well, where you find bigger congregations of people you also find more competition to sell the food as they are attractive areas to be in. And as most of us know, to survive the competition you’ll need to deliver, otherwise your customers won’t return. Their competitors are food stalls just a few feet’s away and they will be more than happy to take over the customers from food stalls that can’t deliver. For hospitals, schools and universities, we are mostly talking about morning and lunch hours as most of the staff and students has left for home before dinner time. Some office areas, like the streets around Ministries and bigger government offices, are also good options for finding the best street food. The area around Dinso Road and Bangkok City Hall, close to the Democracy Monument, is an example of that. This is also an evening spot. The above can be summarized to follow the locals. And look for bigger congregations of Thai’s. It has never been a bad idea to take advantage of local knowledge. 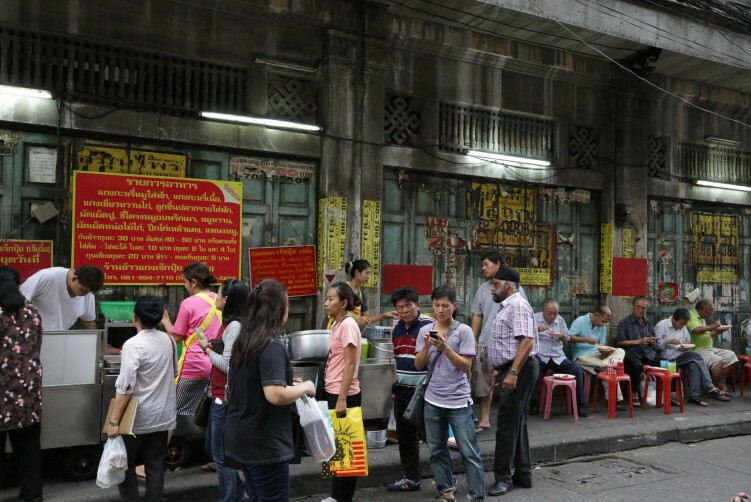 Locals lining up to get their Pad Thai fix at Orawan, one of the better Pad Thai stalls in Bangkok. Front of Soi Chantima at Nakhon Chaisi Rd. not too far from Ratchawat market. Another advantage of patronizing stalls with a lot of customers is that the turnover will be high and the food won’t languish in the sun. In other words, the food are fresher and the taste better. This is especially applicable for the khao click here gang vendors that have many dishes, normally including curries, on display in open trays on a table. And if it looks dirty around the food stall, and I don’t mean the drizzle of ingredients of the actual day that you are bound to find around a busy cooking station, but generally dirty with older garbage spread around. Then stay away. And just to mention it, I have been eating from street stall around Bangkok for more than 10 years, but I have never been sick from any Thai food or Asian food I have been served. And I have tried quite some strange stuff at strange places. The only time I had a minor stomach reaction was from a kebab in the Arabian district. When it comes to food safety, follow your instincts and you should be fine. If you’re eager to try the best of dishes, try to stay open-minded and adventurous while sampling Bangkok’s street food. Street food really doesn’t cost much, so if you don’t like it, leave it and go for the next option that will be close by anyway. Most street food vendors won’t have a menu, and if they do, it’s most likely in Thai. Only vendors in areas frequently visited by tourists will practice more than a few words of English. So be prepared to point and gesture in order to get the best out of your Bangkok street side experience. If you really don’t know what to order, just copy everyone else and point and you will most likely be quite happy with your choice. Follow your senses isn’t a bad idea either, so if it smells good or looks good, the chances are on your side that it tastes good as well. The green rice bowl up to the left is a rather sure sign of good quality in what they serve. Ask what they sell most. This is Shuan Shim at 188 Dinso Road not too far away from the Democracy Monument. A valuable tip that makes your search a lot easier to find the best street side food is to look for the Shell Shuan Shim recognition or award – in other words the green bowl. This is mostly if you want to sit inside (still street food), but you also see some street stalls with this prestigious recognition displayed. Sit down and you’re in for a surprise. Consider it the Michelin or Zagat of Thailand. 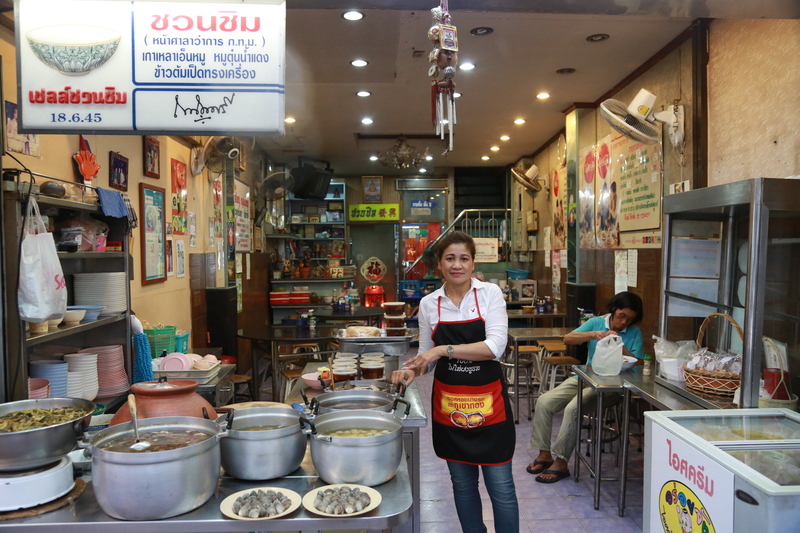 Most of them serves good food with that extra touch that separates them from the ordinary vendors of the same dish you most likely can find all over Bangkok. The blue and green sticker (Perp Pitsadan) down to the left. This is from Pa Tong Ko Sawoy at 540 Tanao Road. Parallel to Dinsor Road close to the Democracy Monument. When straling around the streets of Bangkok you will also notice the blue and green sticker on the front of stores or street stalls. That’s the award from Perp Pitsadan. It’s maybe not as prestigious as the Shell Shuan Shim award, but it’s an award most Thai’s pay much attention to. And they probably should, most of the time I eat at vendors with the Perp Pitsadan recognition, I have been happy with what they have put on the plate. The above is just some general principles. 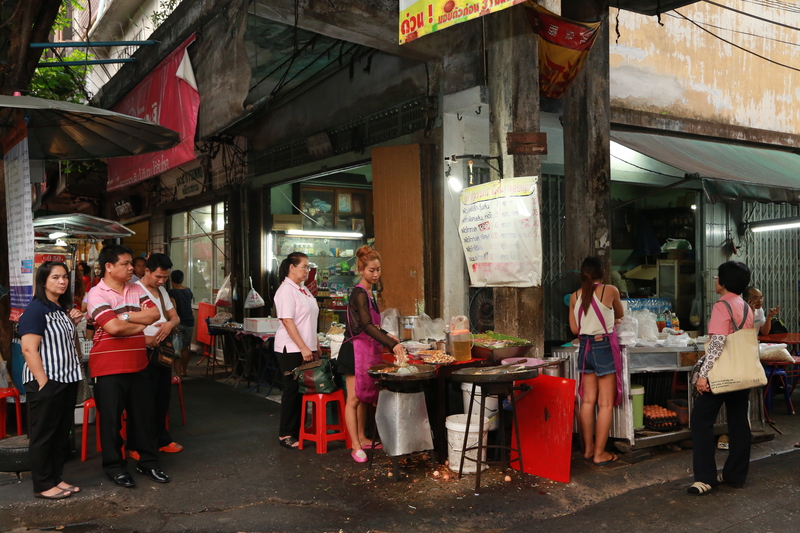 Bangkok is a big city, so in order to locate the best street food, be curious with respect.